This crystal cluster watercolor painting can be painted differently! I just wanted to show you my process of painting with watercolors using easy watercolor techniques for beginners, such as wet on wet, glazing, so you can paint along, relax and learn more about watercolors and me! 👍Thumbs up for more paint with me / paint along videos! In this video I’m using easy watercolor techniques for beginners to create this watercolor crystal! 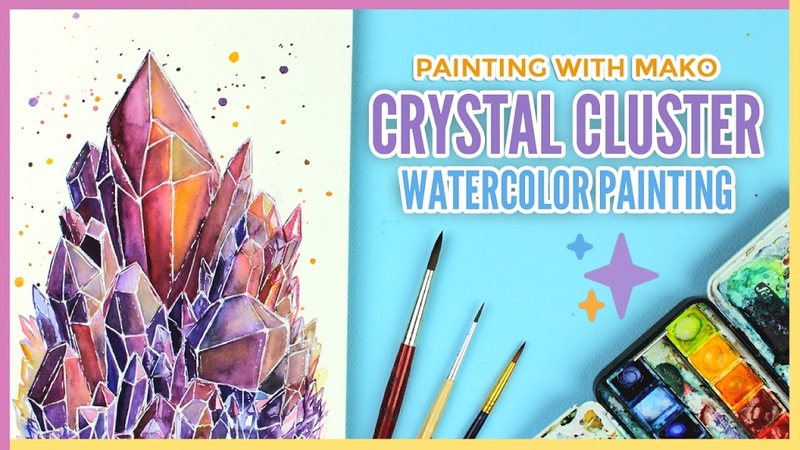 With this paint along / paint with me video I hope you can learn about how to paint a crystal cluster from sketch to the watercolor painting! If you have any questions, feel free to comment down below! I’m sorry if I haven’t answered your questions, there were way too many for just one video! But I hope it was still helpful to you!